What Will Happen If I Don’t Treat My Bad Breath? No one wants to be around someone who has bad breath. You know it will instantly eliminate any chance you have of getting close and is sure to be a date-killer. While there are several causes of bad breath, you certainly want to stop it before you discover that your family and friends no longer want to be around you. Finding the right bad breath remedies can help prevent more embarrassing moments, enabling you to have fresh breath. If you do not treat the causes of bad breath, it is you alone who will suffer the consequences. Besides losing some friends rather quickly, there are other consequences – and some of them could be serious. If one of the causes of bad breath is cavities, this will only get worse. Cavities can lead to a lot of pain and infection, and the infection will spread. If it spreads into your gums, this is an abscessed tooth – which could ultimately be fatal if not treated. It may also lead to periodontal disease, which can destroy the soft tissue that supports your teeth and your jawbone, and your teeth will become loose and may even fall out. If you have dry mouth and do not treat this problem, it will result in cavities and gum disease. While dry mouth can easily develop during your sleep, be sure to breathe through your nose during the day. If you do not try to stay hydrated, the bacteria will multiply, and the acid will cause cavities faster, along with gum disease. Your bad breath will only become worse. Drinking alcohol will also dry out your mouth. This type of gum disease requires dental treatment. The process of healing your gums and getting your teeth restored will be expensive. Some medical conditions also cause halitosis such as diabetes, chronic kidney failure and sinusitis. 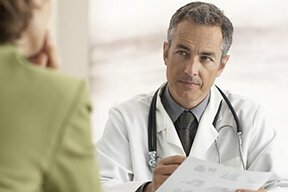 If the problem is not found in your mouth, it’s likely an issue that will need to be pursued by your primary care physician. Some of these problems can be very serious — and the sooner they are diagnosed and treated, the better. Getting treatment in a timely manner is important for better health and smaller bills. 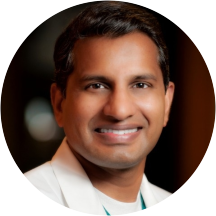 Dr. Vadivel, DDS, is a board certified periodontal surgeon, and Founder-CEO of Implants & Gumcare of Texas, offering affordable restorative and cosmetic dental procedures. Dr. Vadivel has over 25 years of experience. Can Missing Teeth Indicate Your Risk of a Heart Attack ? Does Bad Breath Always Come with Gum Disease? Can a Woman’s Period Affect Her Gums? Can a Bad Fitting Crown Infect the Gums?